We all have one (or two, or ten) bands that we listen to that are either out of the normal scope of entertainment for our taste or that we would only listen to in a padded closet behind at least three locked doors in our secret lair so that no one else could hear us listening to them. You might be proud of this, you might not. In any case, it’s something we all own. Below are six “guilty pleasure” bands that we at Anchor Music News listen to. Which do you relate to and if it’s not on the list, which band would be your guilty pleasure? When I think “guilty pleasure artist”, I don’t so much think “Man, I would hate for people to know I listen to that!” Rather, such an artist to me is one that belongs to a genre that I generally find ridiculous or silly, but I dig anyways. For me, one such genre is Rap Rock/Metal/Core. I mean come on, am I really supposed to take Saliva seriously? Has anyone ever had a straight face when listening to the Beastie Boys? But the crown jewel of Rap Rock bands and my guilty pleasure has got to be Limp Bizkit. At some point or another, you know you jammed “Rollin” so hard, you hurt your neck. Or at least I did. Fred Durst is self-absorbed and their guitarist Wes Borland always looks like he came straight from an Oakland Raiders game, but they groove man! Here’s the reason it works and the reason that I actually like these guys. Despite other bands of the same genre that take themselves so seriously (cough P.O.D), Bizkit looks like they are just joking around and playing off of their own parody. Also, I’m a sucker for massive and fat guitar tone. Here’s the only key real problem I have with this band, and granted it’s a considerable one. I want to burn every single Yankee cap that Fred Durst has worn, is wearing, or ever will wear. While a teenager, I went through a “Pop phase” and my favorite band was ‘N Sync; I even bought their album “No Strings Attached” on opening day at Wal-Mart. What can I say? Their music is really catchy and the lyrics were relatable to me based upon my failed dating experiences. 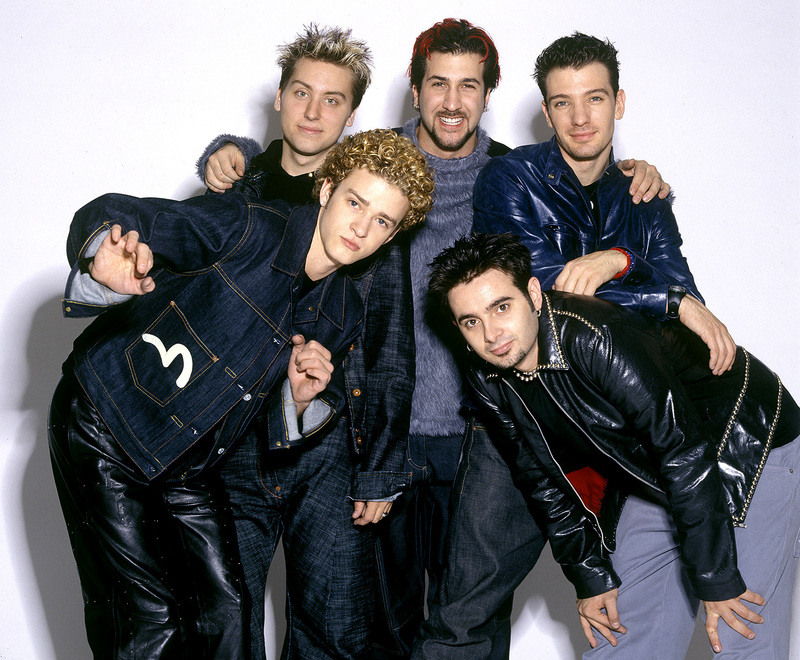 This is why ‘N Sync is my guilty pleasure. I still get enjoyment from listening to them. Their music brings me back to my teenage years. Formed in 1986 out of Boston Massachusetts, The Pixies are believed to have started the initial shove for alternative music. The dynamics from vocalist (and main song writer), Black Francis, touched on many uncommon and unorthodox topics ranging from extraterrestrial to old testament violence. During the edge of the late 80’s music style, it was easy to say that the direction of music was questionable and experimental. The Pixies used this time frame to leap forward with a surfer-rock, psychedelic, noise/hard rock sound that was not your typical 80’s pop. Their 5 albums: Surfer Rosa, Doolittle, Bossanova, Trompe Le Monde, and Indie Cindy had modest sales. The Pixies have made an impact in the music industry amongst other artists. Bands like Nirvana, Weezer, Radiohead, and even David Bowie have credited and praised the works of The Pixies. The famous Nirvana song “Smells Like Teen Spirit”, according to the late Kurt Cobain, was a direct attempt to mimic The Pixies sound and was afraid that fans would call Nirvana out on it. Billy Corgan, of the Smashing Pumpkins, as well as P.J. Harvey cited the album, Surfer Rosa, as inspirational. The Pixies are not your average rock band and, like a fine wine, demand an acquired taste. To introduce readers to The Pixies by album, my recommendation is to follow this order: Doolittle, Surfer Rosa, Trompe Le Monde, and Bossanova. Indie Cindy is their most recent release and does not feature bassist Kim Deal; which is kind of a let down in my opinion since she has been featured strongly as backup vocals in the past. I have not given the album my full attention, which is why I cannot recommend Indie Cindy at this time. My personal favorite tracks are Bone Machine, Monkey Gone To Heaven, Space (I believe in), Debaser, Gigantic, and Where Is My Mind. When I first heard about the topic of this month’s collab article, I immediately knew who I wanted to write about. One Direction is one of those bands that people love to hate. Although they are considered a boy band, I really think a lot of people can relate to their music. I don’t know if I really consider them a guilty pleasure anymore, but I definitely used to. I first starting listening to them in the summer of 2013, when my friends and I took a 24+ hour road trip to California. Their first two albums were the only music that we played on the entire journey. One Direction has really grown musically in the last few years. They recently released their fourth album, which is aptly named FOUR. I haven’t listened to it as much as the others, but I really dig their new songs. My favorite album of theirs would have to be their third one, Midnight Memories. My favorite song off the album is Rock Me. It is a catchy song that makes you want to jam out. It definitely helps keep you awake on those long drives. I feel like I’m violating some sort of girl crush code even labeling Taylor Swift as a “guilty pleasure artist”, considering her most recent out of the ballpark album “1989” and her evolution over the many years as a musician. However, there’s no denying that before the era of Starbucks lovers, many of us had a tearful teen angst moment in the form of singing “You Belong With Me” into a hairbrush that’d we’d rather not share during story time. I love Taylor swift for many reasons (only 39 of those reasons having to do with her obsession with cats). Ultimately since the beginning of her career, she’s kept things real and written about what’s close to her heart, despite being ridiculed for it from time to time. She’s never abandoned her personality; in then this has made her music unfailingly relatable and world famous, no matter how diverse. Straight up, even if one doesn’t like TSwift, most can’t help but respect her. Though she may forever have her start known as a guilty pleasure artist, it’s undeniable that she’s getting more of the credit she deserves as a universally – and publicly – loved one. First of all I’m a nerd. I remember growing up and watching Saturday Anime on the SciFi channel with my brothers. I also remember Toonami on Cartoon Network and thought it was the best thing ever when they started showing animes other than Dragonball Z and Tenchi Muyo. At the end of the first episode of Outlaw Star was a song called that had a montage of artwork. This was the first song in another language that I fell in love with. The song was “Tsuki on Ie (House of the Moon)” by AKINO ARAI. I began to research and learn a lot about Japanese culture and the style of music associated with AKINO ARAI. I latched onto music from YOKO KANNO (Terror In Resonance), JOE HISAISHI (insert Studio Ghibli films), and MASASHI HAMAUZU (Final Fantasy X). It’s helped to shape my sound, melody construction and imagery in writing. I can’t believe I’m admitting this to you all but, one of my dreams before I die is to compose an opening and/or ending theme for an anime.